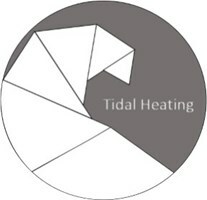 Tidal heating covers all aspects of plumbing and heating works, specialising in boiler replacements and system upgrades. As well as plumbing & heating we also specialise in bathroom installations and fireplaces. Tidal heating is a family run business operating in Ringwood, Hampshire and cover Bournemouth, Poole, Southampton and surrounding areas. Gas Safe qualified and fully insured. We will cover work for insurance Company's where you have already suffered water damage. All general plumbing and heating works are covered.